Determining how much auto insurance you should buy is a matter of looking at your assets and needs, but also state regulations. 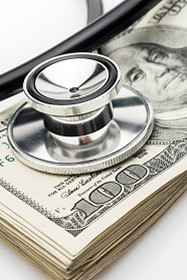 Many states require certain forms of insurance, along with payment levels. To learn how much you must buy and how much you should buy, we analyze each kind of insurance. This coverage, required in most states, compensates the driver of the other car and its passengers and covers the people within your own car. The idea is to protect against lawsuits. Buy bodily injury liability, and you'll see two different designations. If you buy bodily injury worth $100,000/$300,000, each of the people injured can be compensated $100,000. However, a limit is imposed, in this case up to $300,000 per accident. The more assets you have, the more protection you need. The amount you'll pay a month will depend on the area in which you live, and the frequency of bodily injury in that area. This coverage pays for the repair and replacement of the other driver's car or property. States may require this insurance, often at a minimum of $5,000. Consider the potential cost of other vehicles on the road, and the costs to repair them in the case of an accident. This coverage is therefore no area to skimp. A minimum of $50,000 for each vehicle you own should be purchased. 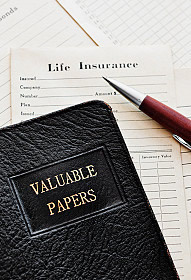 This coverage takes care of the medical and funeral costs associated with an accident. But if you already have health, life and disability policies, you may already be covered. You can opt out of this auto coverage. More and more, this coverage is essential, and mandated by some states. A $100,000 policy charges cheap premiums, and covers medical nd funeral costs for you nd your family in the case of injury from an uninsured driver. This is the area where you should up the deductible to the highest amount you can, saving you money on premiums nad protectign you in case of accident. Collision reimburses you for the full cost of repairs or replacement of your car after an accident. Comprehensive covers you in the event your car is stolen or damaged by natural disaster or vandalism. Consider this when determining amounts. This coverage is requird on most lease contracts, and essential for expensive cars. But for other cars, it may not be necessary. The amount you'll receive from insurance is the Kelley Blue Book value, which declines with your car's age. If the cost of your collision and comprehensive is more than 10% of your car's Blue Book value, It may make more sense to drop this coverage. To see what your state requires in terms of coverage, consult the following chart. Under Liability Limits, the numbers are as follows: minimum bodily injury liability amount for one person, minimum bodily injury liability for all people injured, and minimum property damage liability. To learn more about auto insurance, read our continuing series, including articles on common types of coverage, choosing the best plan, filing a claim, and more.